When Instagram initially rolled out Instagram Stories it felt like a race against the clock to view content from your favorite accounts before 24 hours or risk serious FOMO. But that era of short-lived Instagram Stories is coming to a close thanks to one of the newest features, Story Highlights. Introduced in December 2017, Highlights is giving you a new way to “fully express your identity” by adding a curated group of past Stories you’ve shared to the top of your profile. Basically, Stories no longer have to expire. This new feature is more than a chance for your followers to stroll down memory lane. 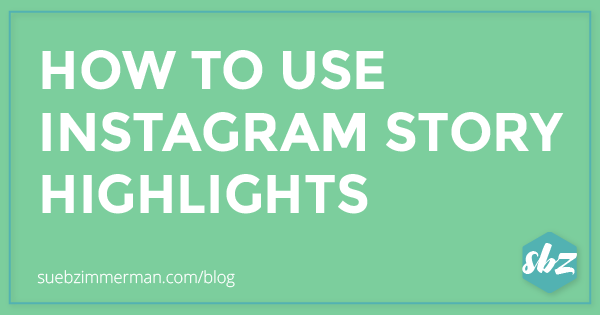 Businesses on Instagram can tap into the interest of over 300 million daily active Story users by strategically using Highlights to create more buzz about their Instagram accounts and drive more traffic to their websites. 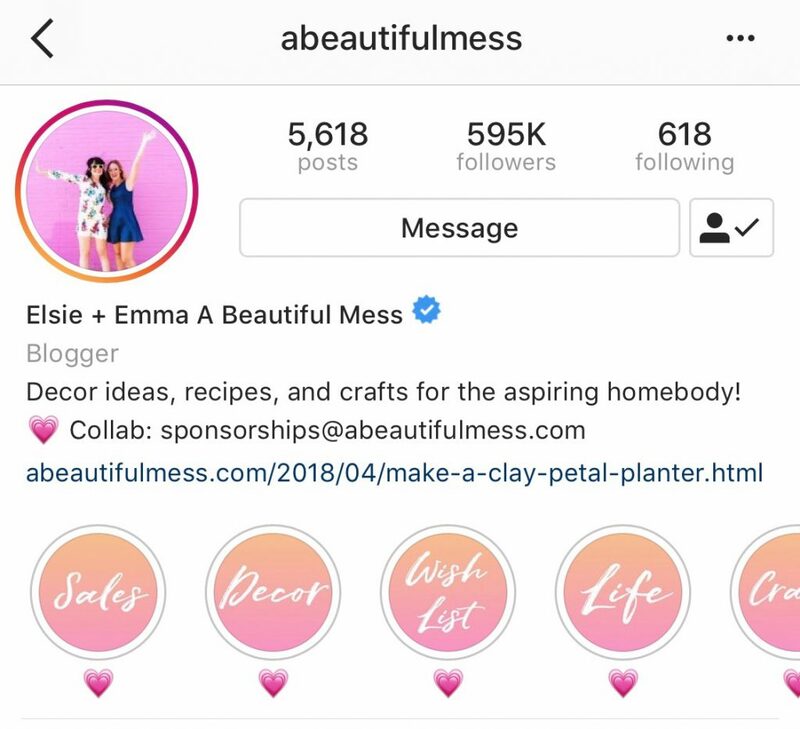 Here’s what you as a marketer or business owner need to know about how to strategically use Highlights for your Instagram account. What are Instagram Story Highlights? Highlights allow you to combine multiple Instagram stories into long-term content your audience can discover after the typical 24-hour limit. As you create and save your Story clips, you can categorize in any way you wish. These categories will be shown right on your Instagram profile above your static images and videos. Since it lives right under your bio, (talk about prime real estate), Highlights allow you to go beyond the 150-character limit and give people a chance to discover who you are and what your brand represents. Right from the start, you can use Highlights to differentiate your content and stand out from your competition. Before this feature, there was a ticking clock on sharing Story content. 24 hours after you share your Story it disappears. That’s still true. However, now with Highlights, your clips can be saved. Your content can live on indefinitely. You can even extend your content’s shelf life by referencing it in a future Story or in the static feed. For those accounts that have over 10,000 followers, Highlights allows you to drive more traffic to your website with the swipe up feature. Unlike in the past where you were limited to one link in your bio, this feature in Highlights allows you to share an almost endless amount of links. Much like a billboard, your Highlights give your followers a quick glimpse of what they can visually expect from your brand. Whether your cover photos feature your brand colors or emojis you use consistently in the feed, you can personalize your Highlights covers to fit seamlessly into your feed’s distinct aesthetic. Since the Highlight feature is still new(ish), a lot of brands are not fully leveraging it. And that makes it a great strategy to set yourself apart. The more people land on your Instagram account, the more likely you are to see your click through and engagement rate go up. If you’re looking for more inspiration, be sure to check out accounts like Lila Nattalie and a Beautiful Mess. 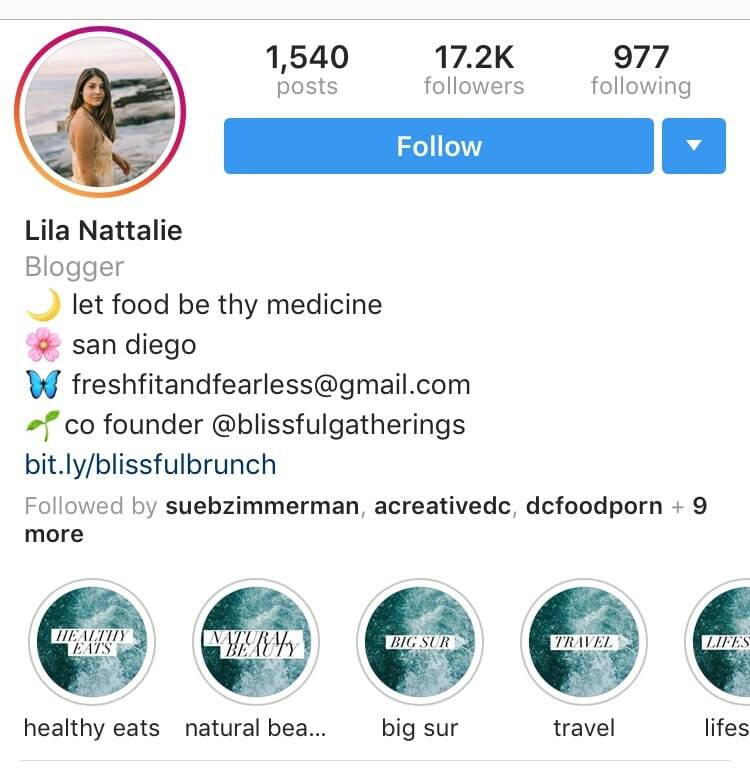 As the co-founder of Blissful Gatherings, a vegan pop up gathering in San Diego, Lila’s account is all about connecting with other people who appreciate and are looking for a plant-based diet. That’s why her Highlights not only showcase delicious recipes, but also provide other inspiring content focused on living a more holistic, natural lifestyle. She even has a Highlights category about the gorgeous views at Big Sur. Who doesn’t love that? Similarly to Lila, A Beautiful Mess shares an array of lifestyle-focused Highlights. This brand has a ton of amazing offers, like home decor and essential oils, but they don’t just use their Highlights to sell their latest offerings. Instead, they strategically use a variety of Highlights that also celebrate the whimsical, playful lifestyle that inspires their brand. Whether it’s decor or beauty boxes, their followers know every time they come back there will be new content to explore. Your Highlights should showcase what is unique and worthwhile about your business – what really sets you apart. But most of all, your Highlights should be what people really want to see from you. If you’re looking for some Highlights inspiration, check out how Sunny Lenarduzzi, a business coach and YouTube Pro, uses her Highlights to provide more info about her specific offerings. 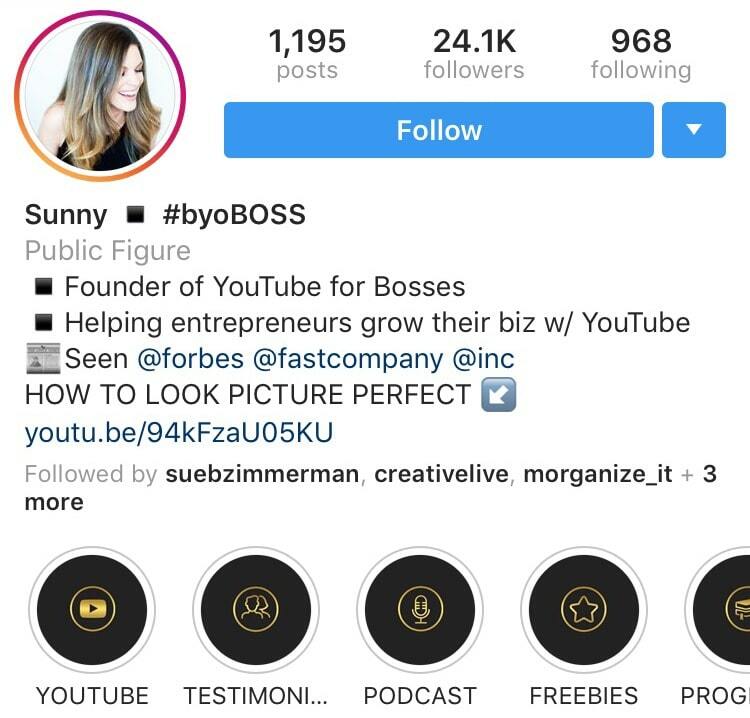 Whether she’s sharing her latest YouTube course or a sneak peek at her podcast how-to guide, Sunny always uses her Highlights to give more value to her followers. As Sunny introduces more products and services, she is always intentional about adding these new offerings to her Highlights. Her followers immediately know what she’s offering, and they can easily tap in to learn more since she’s sharing a link in the clip. While you never want your Instagram Highlights to feel overly-scripted, take time to jot dot some potential Highlights category ideas. This will help provide you a better game plan when you’re adding your daily content. Now that your head is buzzing about all of the content you want to share, you need to know how to save your Story as a Highlight. In order to save content in your Highlights, you have to leave it in your Stories for the full 24 hours. If you delete it before that time, you will not be able to save it in your Highlights. Don’t leave your followers guessing about you’re sharing. If you’re uploading graphics you plan to use as your Highlights cover, make sure to give your followers context about what you’re sharing in Stories. This helps your content from feeling random or out of place. Make sure the name of your Highlight categories do not exceed 11 characters. Otherwise, people won’t be able to read it. One account that does this really well is Small Talk Social. Since they are a boutique agency focused on helping lifestyle brands with their content marketing strategy, their Highlights categories offer a glimpse at the resources and tools they offer. The Highlights category names are clear and concise, perfect for grabbing someone’s attention and helping them to find exactly what they’re looking for. To create more visual consistency for your Highlights, make Highlight cover photos. These graphics, which should be 1080px wide by 920px tall, can be either a clip with just your brand color or an icon. – Tap on the color from the selection on the bottom that you would like the background of your highlight to be. Remember you can swipe through color options or tap the color dropped to match a color in a photo. 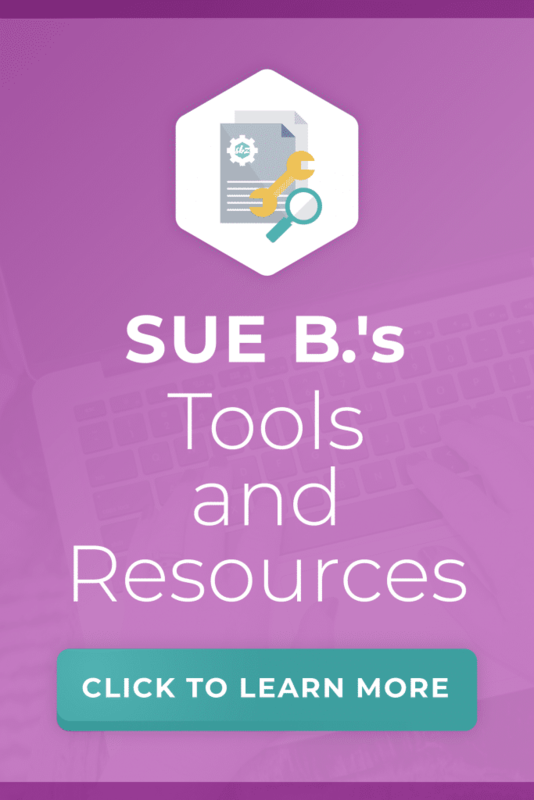 A quick note that I prefer to use the Canva app, but you also create covers on Canva’s website. Also, the process is the same if you want to use a photo as the background of your cover. If you’re looking for Highlights cover inspiration, check out Blooming Lotus Jewelry. While they do not use the same solid color or icon for their cover photos, they intentionally use playful emojis beside each Highlight category name. This whimsical touch is perfectly aligned with their brand, and provides an extra fun design touch to their Instagram account. 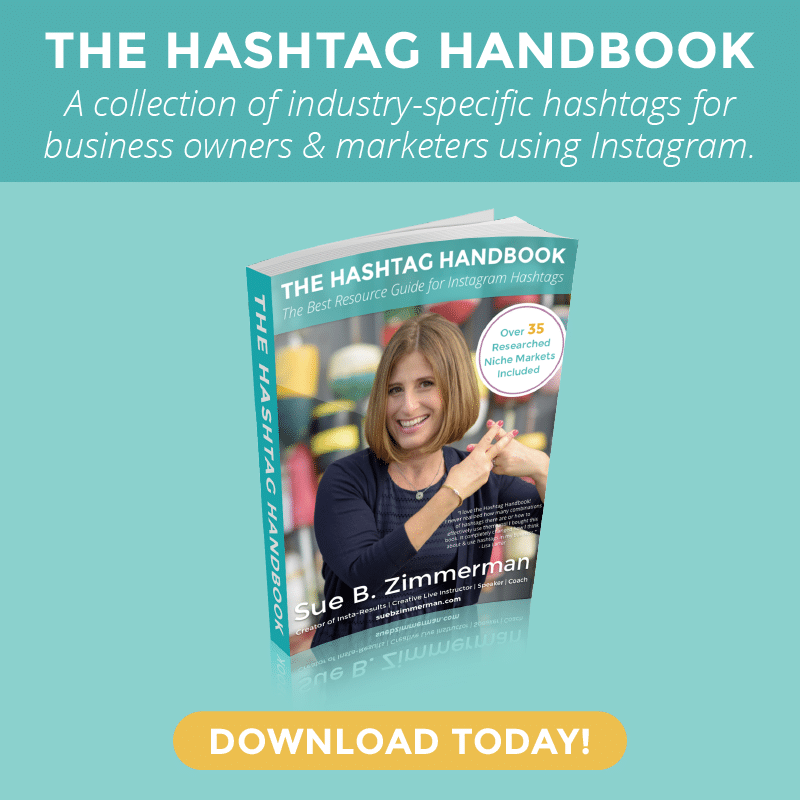 How do you plan to use Instagram Stories Highlights for your business? As you’ve learned from my other blog posts, having a strong Instagram strategy isn’t just about using the latest features. 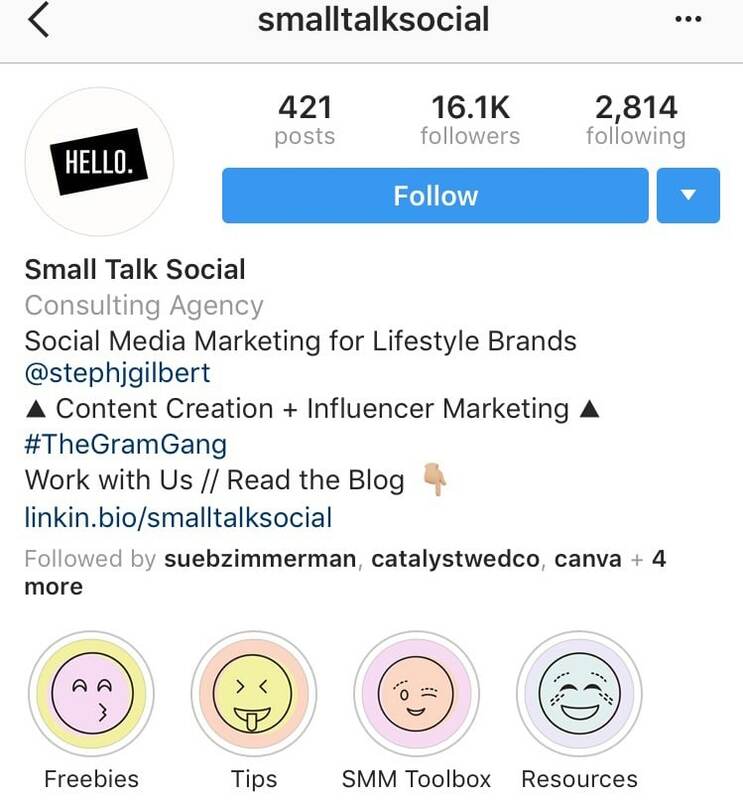 Take time to check out your favorite accounts and see how they use Instagram Stories Highlights for their business. Whatever strategy you decide to adopt, make sure it’s unique and authentic to your brand. Want to learn more about how to develop a strategy for Instagram Stories? 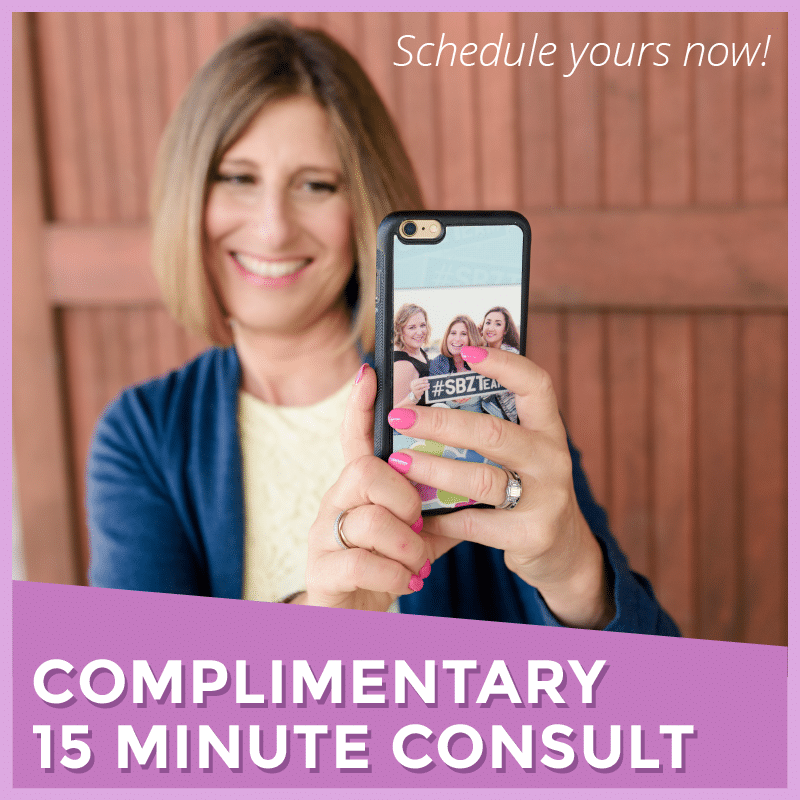 Whether you are a newbie to stories or looking to stay up to date on the newest features, my Live Social Media Class is for you. I’ll be teaching “Instagram Stories For Business” live on April 19th. Click here to learn more about the class. Afraid your schedule won’t permit you to attend live? Don’t worry, a recording is included in your access purchase!